Outfitted with modern appliances and design, our 14 and 16-seater minibuses for hire come from our manufacturers with everything our customers could possibly need. The ideal vehicle for mid-sized groups or smaller groups with luggage, your group can enjoy a spacious interior without the stress of having to drive themselves. With that extra room, up from our 12 and 14-seater minibuses, the difference in size does not compromise our commitment to high-quality features and service. Coach Hire Wolverhampton is committed to excellent standards of service throughout any travel endeavour you may have. Take an epic journey through time at the Warwick Manor and Bantock to experience the highlights of Victorian art and architecture, or if you have a flair for more modern settings, enjoy the contemporary offerings of the Wolverhampton Art Gallery, where pop art shares these walls with 300 years' worth of Victorian art and design. Afterwards if you are in the mood to get some shopping in, take a quick jaunt to the Wulfrun Shopping Centre, situated in the heart of Wolverhampton's city centre. Wind down the day at any of the local eateries and pubs before heading back home to get rested. Your group can enjoy all of this together without the stress of scheduling where everyone should meet and how to park everyone's cars. Instead taking one luxuriously built minibus to all these locations frees up time, money, and your focus. Our team works closely with our drivers to plan your routes carefully to dodge the worst of downtown traffic and still have you experience the liveliness of Wolverhampton and its inhabitants. Hoping to take on all of Wolverhampton in a day trip, or perhaps your flight was delayed and now you are an hour behind? Fear not, our staff is on it and working around your stressful schedule to get you where you need to be. So, rest easy knowing that you will be able to see everything you want, or make it to that meeting with time to spare.  The drivers we employ are fully committed to respecting your schedule and lawfully delivering you wherever you need. Even the most urgent of requests can be handled by our professional staff, so simply let us know, and leave the driving to us! All of our minibuses come packed with numerous quality features designed with your comfort in mind, and the 14 and 16-seaters we have are no different. Amenity packages provide flexibility to our customers' budgets and needs when travelling. If you are only in the market for quick transportation to and from the airport or city centre, we can work with that! Having a special event and want to splurge a bit on some VIP treatment for you and your mates? Our luxury appliances, from leather seats to mini-fridges, LCD televisions to surround stereo, all is available and at an excellent price you will not find anywhere else! Regardless of whether or not you need none, all or some of these amenities, know that we have curated our fleet to provide you with exactly what you need. All of our travel packages are uniquely built with you in mind; should something not be right, simply let us know and we will work tirelessly to find the best option for you. Perfectly sized for those mid-sized travel groups and smaller gatherings looking to have a bit more breathing room, the 14 and 16-seaters we provide fit the bill for delivering quality offerings and a smooth ride. Our highly competitive pricing and professionally trained staff strive to maintain your continued satisfaction. Contact us today to find out how our fleet can best service you.